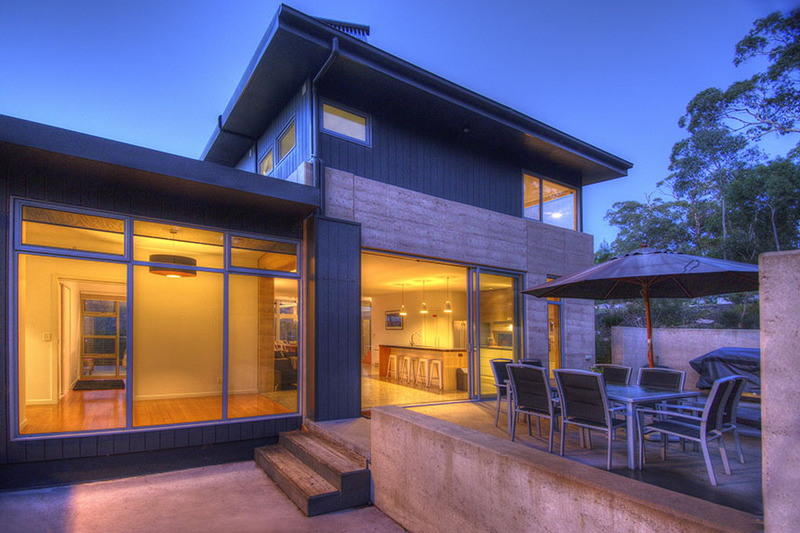 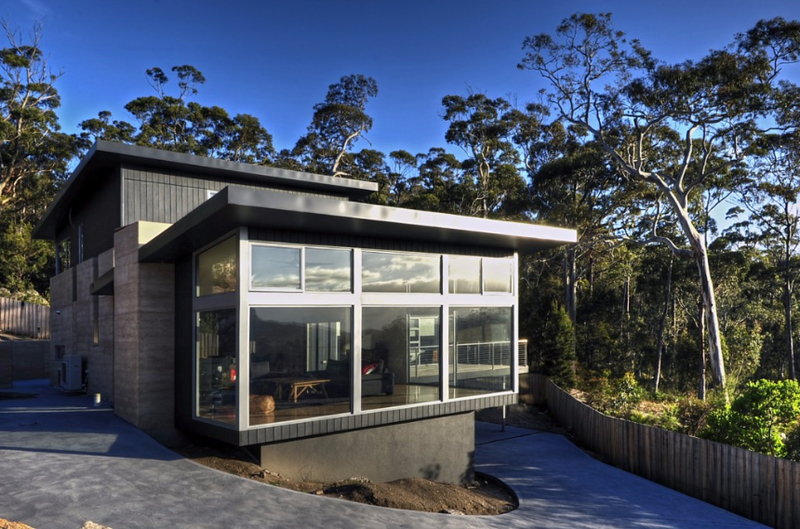 The house is new and architecturally designed. 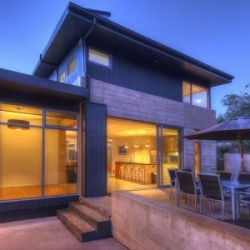 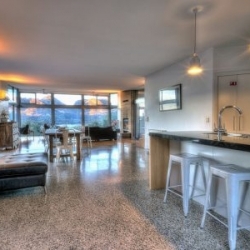 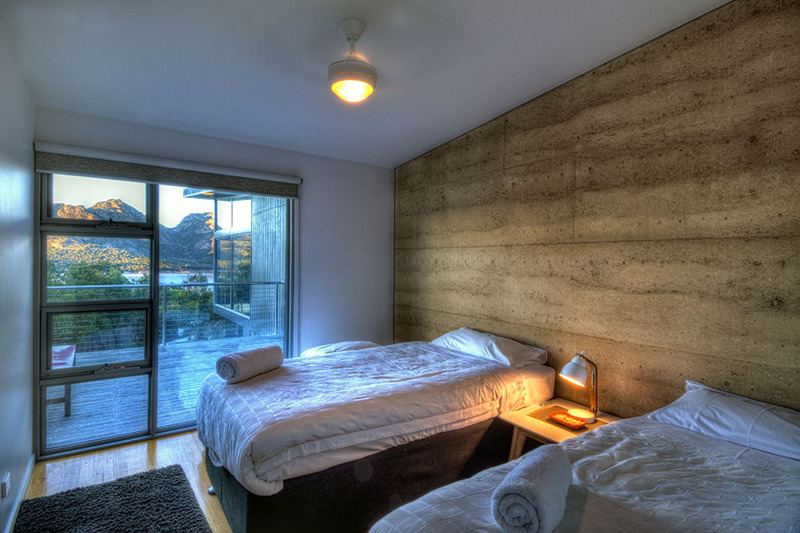 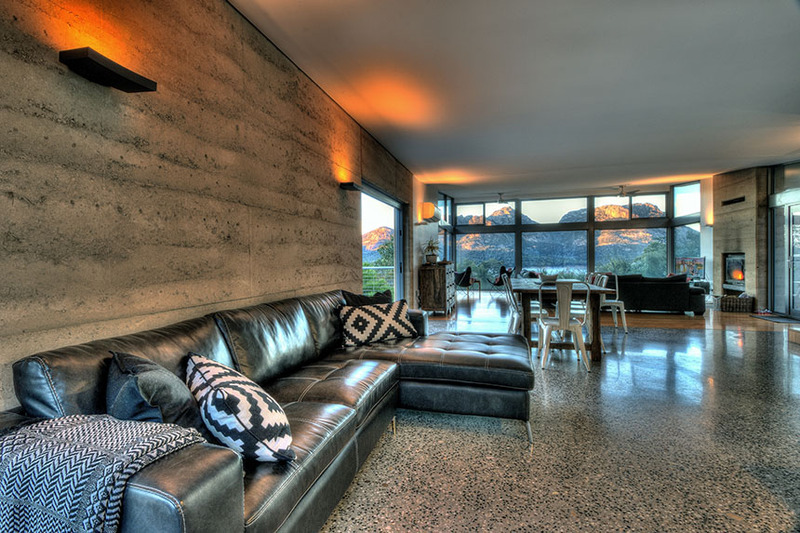 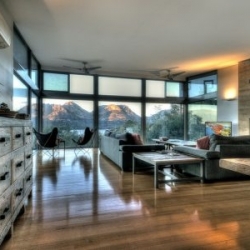 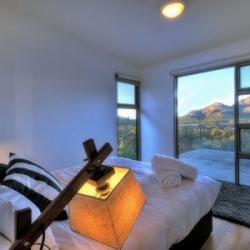 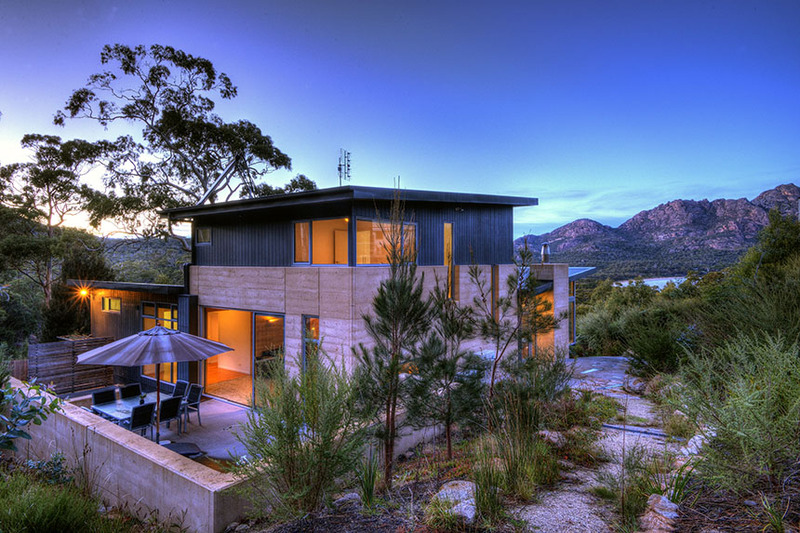 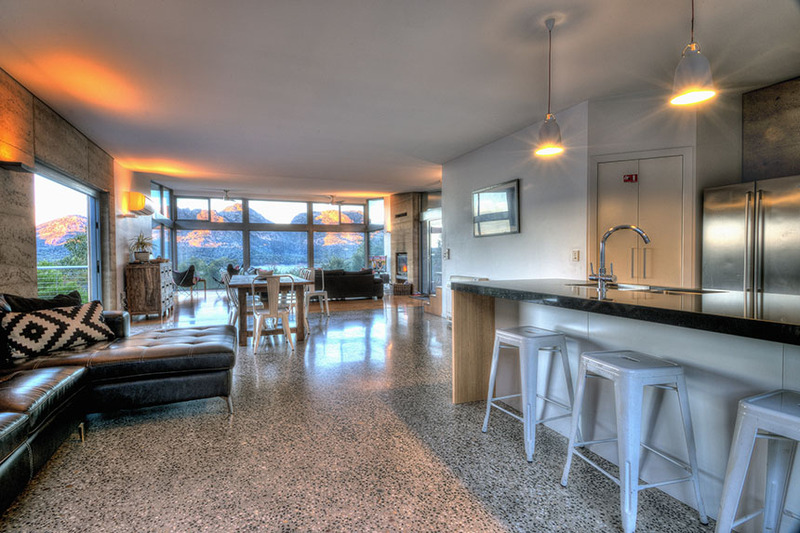 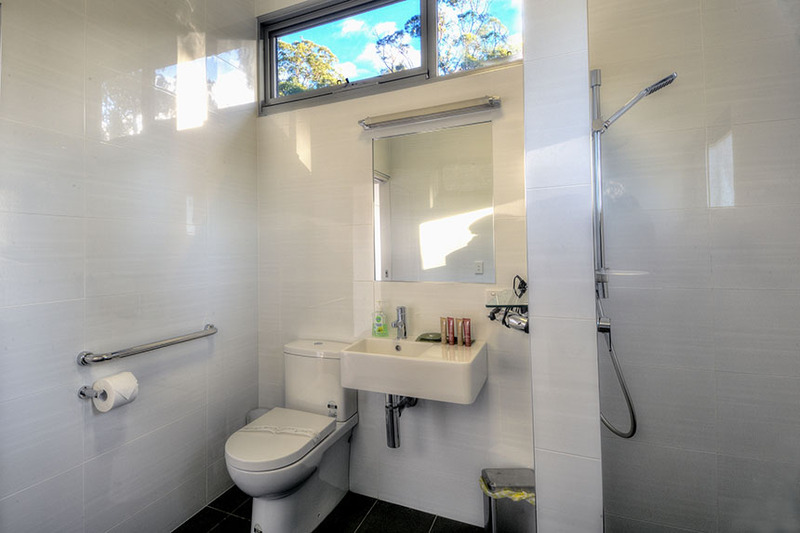 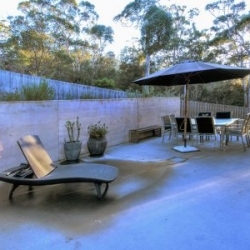 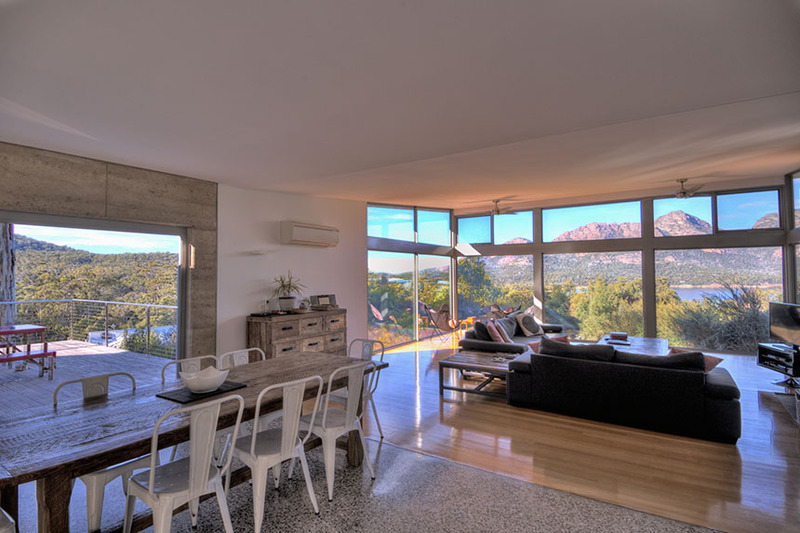 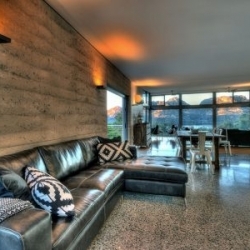 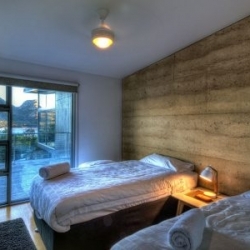 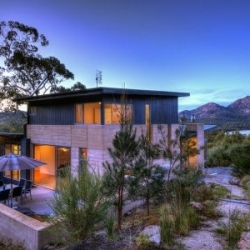 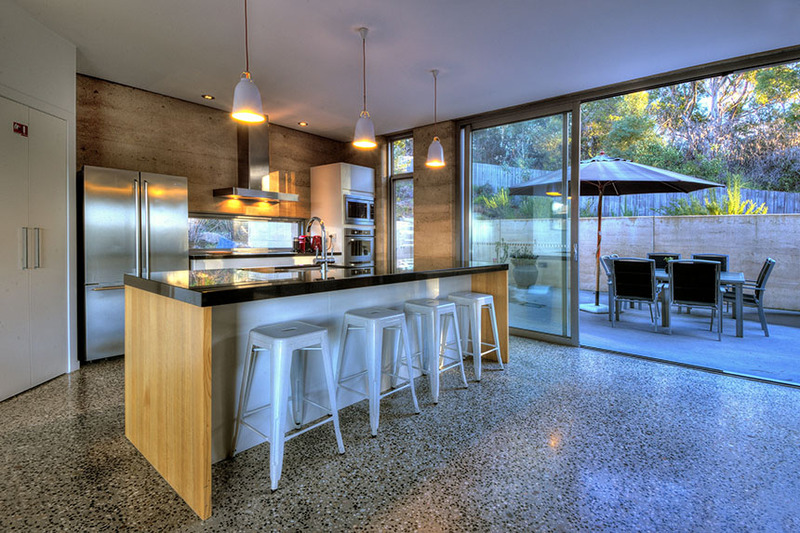 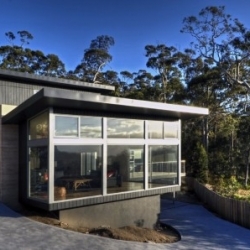 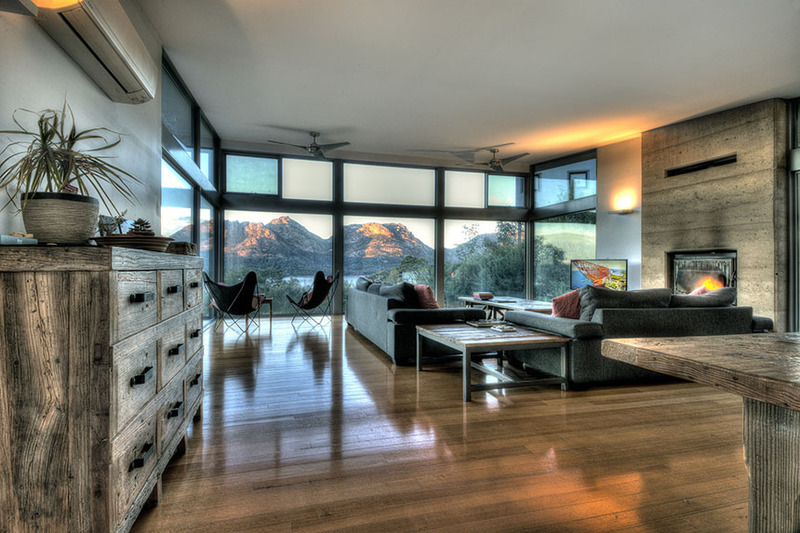 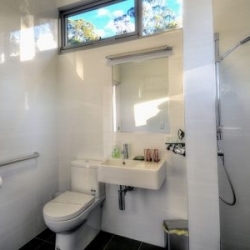 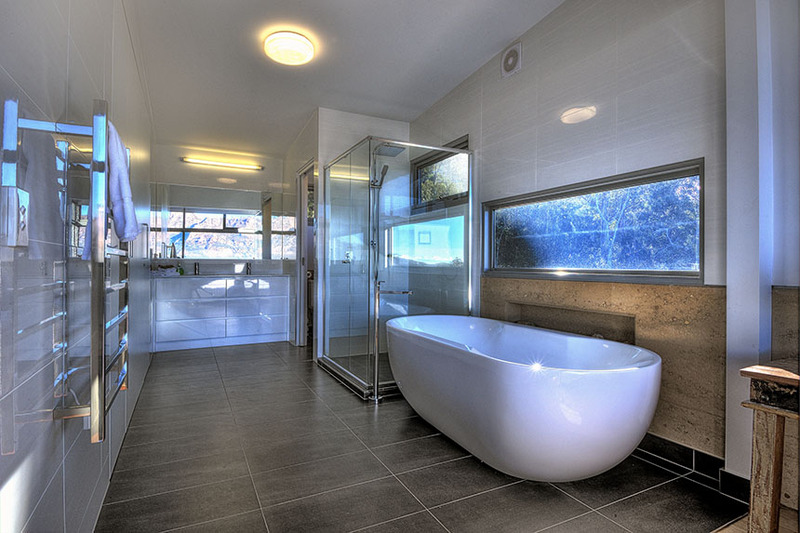 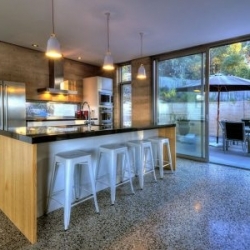 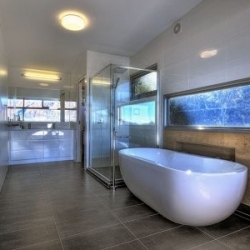 It has feature rammed earth walls and a large open plan dining, lounge and modern style kitchen with quality appliances. 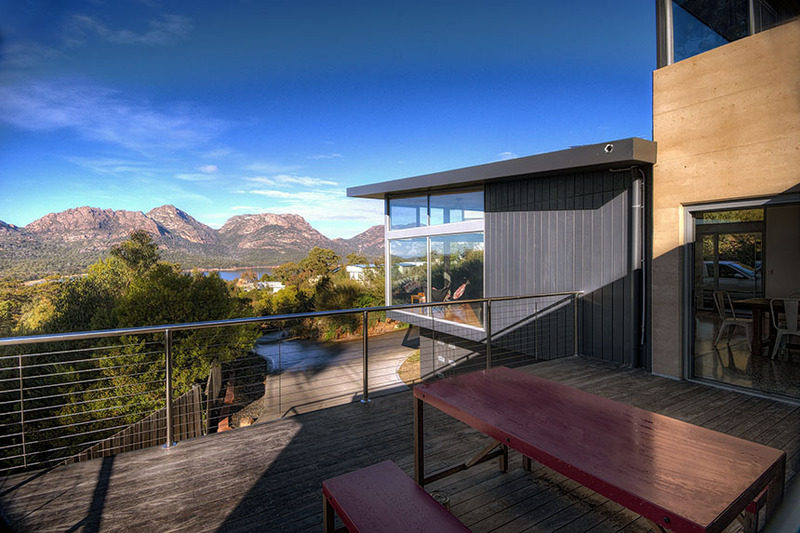 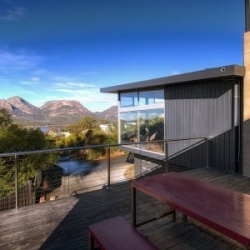 A large deck provides uninterrupted views of beautiful Richardson’s beach and the dramatic Hazards Mountains. 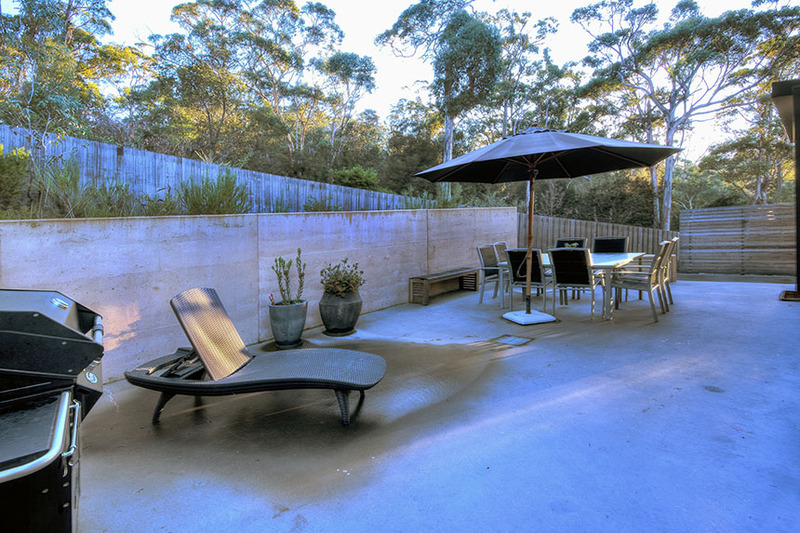 The protected courtyard is a perfect location for barbeques and washing off the sand from a day at the beach. 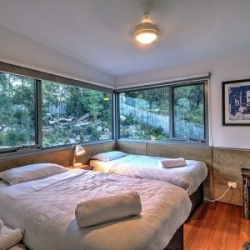 The house has reverse cycle air conditioning for your comfort. 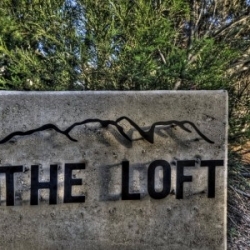 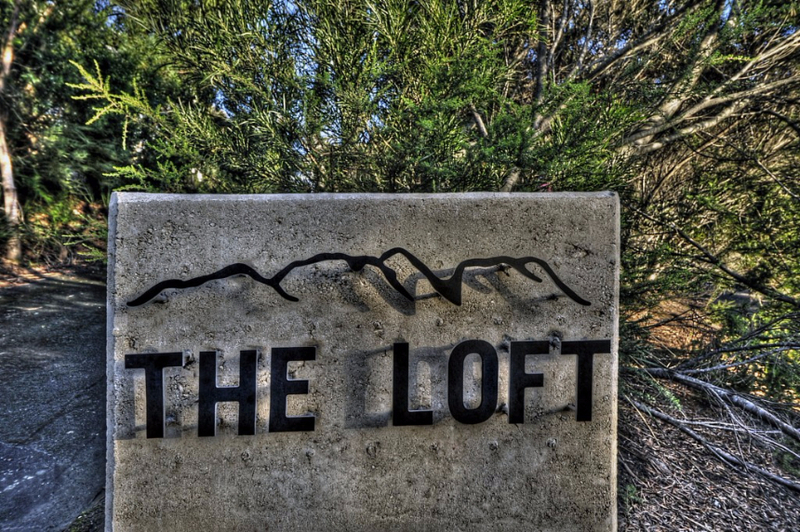 ‘The Loft’ also features a beautiful wood fire for cosy winter getaways. 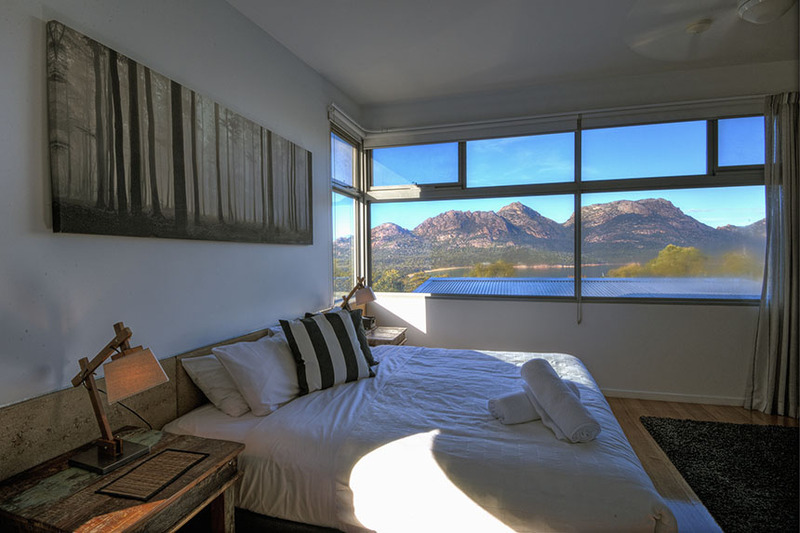 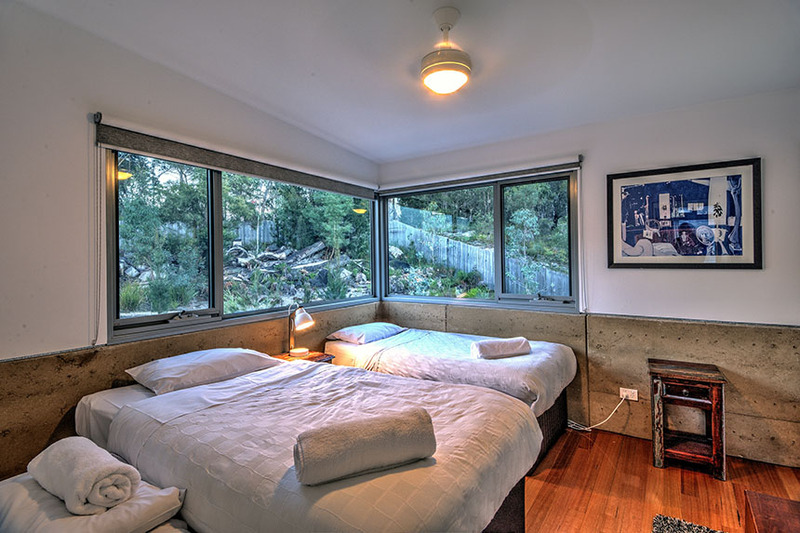 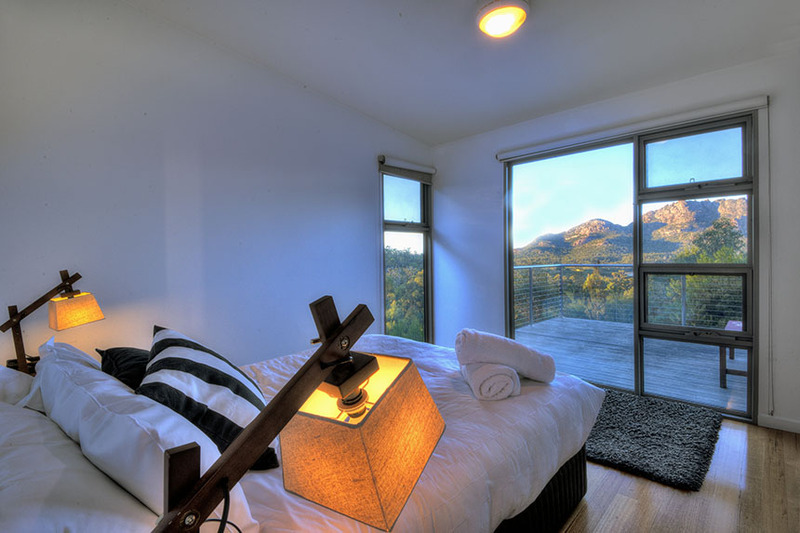 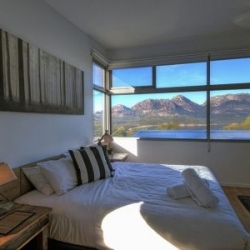 The upstairs master bedroom has its own reverse cycle air conditioner with breathtaking views of the bay and Hazards.